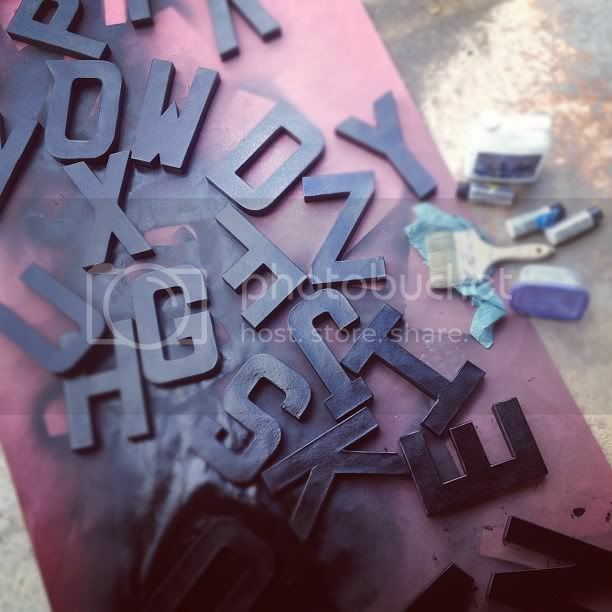 A while back, I posted a DIY project on making a faux painted version of the zinc letters from Anthropologie. That project made its way to Pinterest, and is one of the main hits on my blog everyday. There have been lots of people that have tried the project, and I love hearing from them! One of the "pinners", however, decided to commission me to paint the letters for her nursery. She bought them at Hobby Lobby, shipped them to me (all the way from Chicago, I think it was! ), I painted them, and then shipped them back to her. Fun stuff! 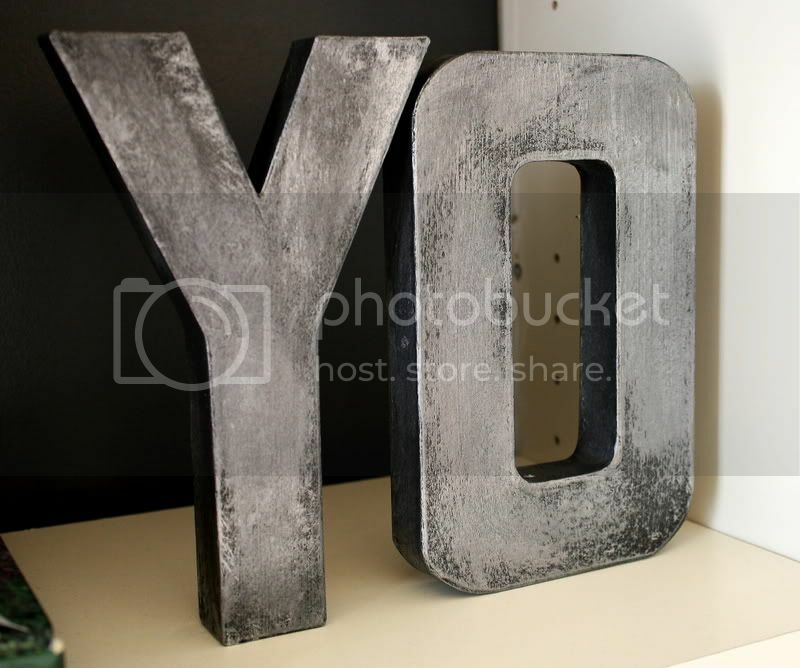 Anyway, she sent me a camera phone photo of the letters hung on the way... I loved the way it turned out! The "C" and the "M" have special meaning, and that's why they are chevron printed instead (I didn't paint them). These are fun! Kuddos to the client for tracking you down through pinterest. It's nice that YOU got the job off of your work rather than someone else. thank you, dana! I know, it was a fun and funny project! 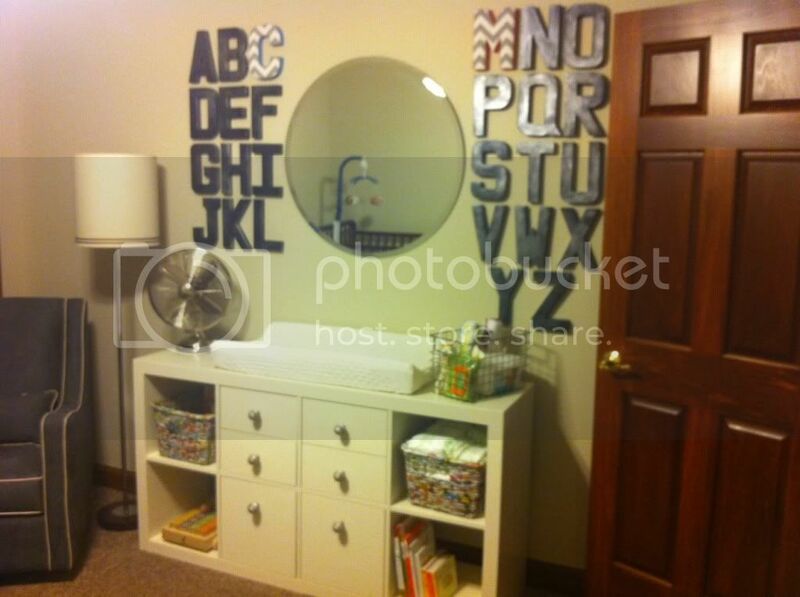 ok- i LOVE this idea...and might have to "borrow" it when we transition to a bigger boy room.